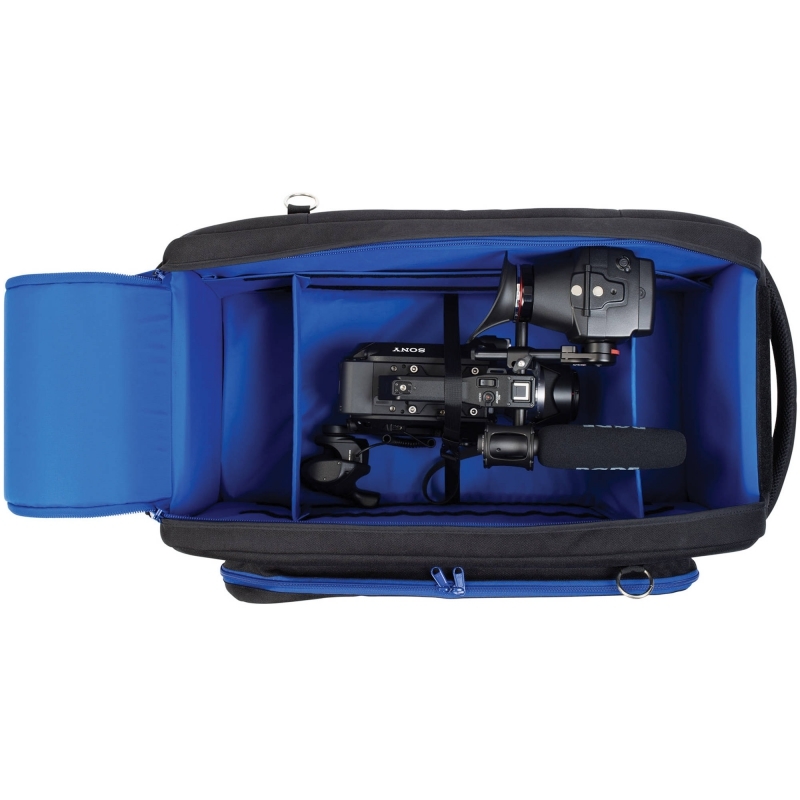 The run&gunBag XL is especially designed for professional cameras up to 65 cm and 25.6 inches (in length) and offers the possibility to safely transport your camera, completely assembled, ready for action! This bag, made of 1000 denier black Cordura® fabric, has double (blue) YKK® zippers that open the top flap in one easy pull. 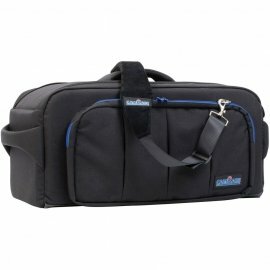 Stow away your camera, accessories, tape, batteries, chargers, cables and tools in this easy to use, run&gunBag from camRade. The soft-padded interior includes removable dividers which make it easy to arrange the main compartment into sections to fit your requirements. Carry the bag with the included comfortable padded shoulder strap, the soft handle, or transport it safely on a trolley. (The zippered opening on the back of the bag allows you to attach it securely to a trolley). On the front of the bag you’ll find a large pocket for your cables and accessories. Inside, two mesh pockets (made of waterproof material) make it easy to store smaller items and documents. A cinch strap in the main compartment keeps your camera secured during transportation. The bottom of the bag is equipped with a protective armored plate, covered by a waterproof non-slip cover. Together with the reinforced inserts this provides a rigid lightweight frame which safeguards your camera equipment in any situation.